New for 2016, a winter trail is inspired by the Gardens themselves, as the trees, temples and glasshouses of Kew are playfully lit and all aglow. There’s something for everyone at this festive time of year as our one mile sparkling path winds its way through the Gardens in a magical after dark experience. 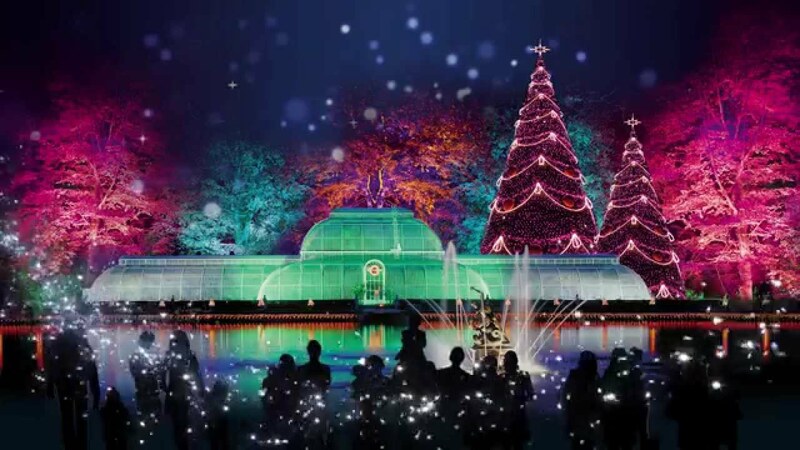 A botanical wonderland awaits, with brightly coloured laser beams dancing over water, a Tunnel of Lights, scented Fire Garden and fairytale adventures of flora. Santa and his elves will be in the North Pole village, plus favourite vintage rides, Christmas gifts and traditional festive fare.